Love your setup. 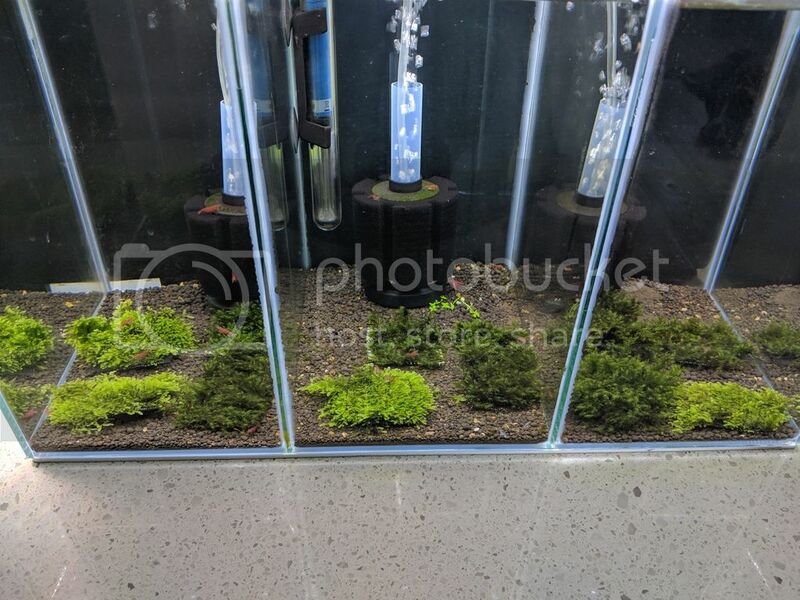 Main tank is looking clean and the moss carpets in the breeders is a great idea. I see you just have the one heater in the breeder tank. 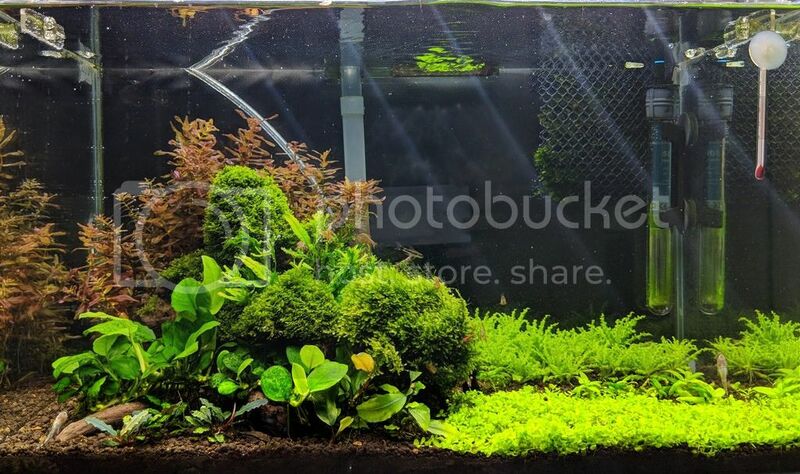 Does the heat transfer through the glass well or is there a temp drop to the two outside sections? Temp is a little different but nothing too significant maybe 1 or 2 degrees. Not a big deal considering the CPDs can withstand cooler temps. These tanks are still going! A few small changes but nothing too serious. I've finished year 12 and now have some spare time on my hands and am going to try get back into breeding. Wow, Awesome thread. Is amazing to hear how quick these guys breed! Thanks for sharing. Will have to track down some CPD's one day. They are beautiful fish.